Age limit for ticket purchasers is 18 years and over. Purchase must be made in the province of Alberta. Sellers are to advise all ticket purchasers not to put the name of any individual on a ticket that is under the age of 18. All draws will be under the supervision of Black Fund Development Inc., auditors from Stewart and Associates and the firm of Stride Management Corp. and take place at 3950 12th Street NE, Calgary, AB except for the top 5 draws, which will take place at the STARS Base 1441 Aviation Park NE, Calgary AB. Any person wishing to view the draws may do so by attending at the above location on the draw date(s). The order in which the prizes will be awarded is from the prize of least retail value up to the prize of greatest retail value. The Loyalty Draws will be the first ticket drawn, followed by the Early Bird Draw and then the final remaining 2,807 prizes. All tickets are eligible for all draws. Ticket buyers are eligible for all draws provided they have purchased their tickets by the applicable cut-off dates. Should all tickets be sold out by the Early Bird cut-off date of February 28, 2019 all draws, beginning with the early bird, will take place on March 14, 2019 and conclude March 19, 2019 pending AGLC Approval. There will be no prize alternatives or cash in lieu of options with any prize unless otherwise stated. The following individuals are not permitted to purchase tickets in the lottery. Board Members and Executive Management Staff of STARS (Shock Trauma Air Rescue Service and the Foundation), employees of Stride Management Corp. and Black Fund Development Inc. and their immediate family members. Retail value of all prizes is $4,536,972.00 including GST. Only 1,011,000 tickets will be sold. Tickets in the main lottery will be sold as $30 single ticket, or discounted in sets of 3 for $60, sets of 6 for $100 and sets of 18 for $250. Travel – All travel prizes are valid for one year from draw date; however winner must make their choice by April 16, 2019 between the Vacation prize or the travel voucher option. Should the winner not make their choice by this date, the licensee will make the choice on the winner’s behalf. Extensions may be granted upon request and blackout dates may apply. All travel includes return airfare from either Calgary or Edmonton unless otherwise indicated. STARS helicopter flights – valid for one year from draw date. STARS reserve the right to determine the date and the number of passengers on the flight based on availability of the helicopter. If the helicopter is required for mission activity, the ride will be rescheduled. Vehicle Prizes – prizes will be guaranteed for one year from draw date; however winner must make their choice by April 16, 2019 between the two vehicles or the cash option. Should the winner not make their choice by this date, the licensee will make the choice on the winner’s behalf. All winners will be notified in writing by Black Fund Development Inc., and in some cases by telephone of what they have won and how to claim the prize. At the end of each draw a searchable listing of winners will be posted on starslotteryalberta.ca within 10 days following the draw. If a winner cannot be located after a period of one year from the draw date, the prize or equivalent cash value will be donated to a charitable beneficiary approved by the Alberta Gaming & Liquor Commission. In the event of a winning ticket stub having more than one name, the licensee will award the prize to the first name listed on the stub. The Alberta Gaming and Liquor Commission and the licensee are not responsible for resolving any disputes which may arise from the different individuals. If any ticket purchased has been entered in any draw, no refund will be issued after the draw has taken place. The LUCKY STARS 50/50 draw will be April 4, 2019 under the supervision of Black Fund Development Inc., auditors from Stewart and Associates and the firm of Stride Management Corp. and take place at 3950 – 12th Street N.E., Calgary, AB. Anyone wishing to view the draw may do so by attending at the above location on the draw date. Cut-off date to purchase tickets is midnight March 21, 2019. In the event the STARS Main Lottery sells out by the Early Bird cut-off date of February 28, 2019, then the LUCKY STARS 50/50 ticket sales will be cut-off and the draw will take place on March 14, 2019, with AGLC approval. The following individuals are not permitted to purchase tickets in the lottery; Board Members and Executive Management Staff of STARS (Shock Trauma Air Rescue Society and the Foundation), employees of Stride Management Corp. and Black Fund Development Inc. and their immediate family members. The minimum number of tickets that must be sold or minimum revenue generated before the Lottery is cancelled or an extension requested, is any combination of the $10 individual tickets, sets of 5 for $25, sets of 15 for $50 that falls under $1,645,000 in revenue or 47% of gross revenue. 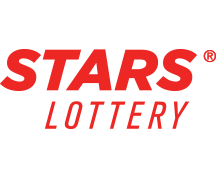 Ticket purchasers are not required to purchase a ticket in the STARS Main Lottery in order to purchase a Lucky STARS 50/50 ticket. Cash value of the LUCKY STARS 50/50 prize will be a minimum payout ($800,000) or 50% of ticket sales, whichever is greater. Only 1,030,000 tickets will be sold; as individual tickets at $10 each, sets of 5 for $25 and sets of 15 for $50. Prize must be accepted as awarded - no substitutes. The winner has one year from the date of the draw to claim their prize. Any costs associated with the delivery of a prize due to distance or unique circumstances will be covered by the Lottery. The winner will be notified in writing by Black Fund Development Inc. and also by telephone from a STARS representative. The name of the LUCKY STARS 50/50 winner may be published in major newspapers in Calgary, Edmonton, Red Deer and Lethbridge within 10 days following the draw and on our website at starslotteryalberta.ca. If a winner cannot be located after a period of one year from the draw date, the prize will be donated to a charitable beneficiary approved by the Alberta Gaming and Liquor Commission. In the event of a winning ticket stub having more than one name the licensee will award the prize to the first name listed on the stub. The licensee and Alberta Gaming and Liquor Commission are not responsible for resolving any disputes which may arise from the different individuals. If any ticket purchased has been entered in the draw, no refund will be issued after the draw has taken place.